The contestants have to prepare a delectable three-course meal for over 200 guests at Middle Temple, one of the historical Inns of Court at the heart of the British legal system. John Torode and Gregg Wallace lead the contestants in their first foray into fine dining in large numbers. They have to prepare a delectable three-course meal for over 200 guests at Middle Temple, one of the historical Inns of Court at the heart of the British legal system. Guests at the dinner include some of the most high-ranking legal figures in the land. Working under the head chef, the contestants must cook in pairs, with each team delivering one course. Then, the contestants return to the MasterChef kitchen for one more fine-dining challenge. They have 90 minutes to create two elegant courses that can proudly sit on any fine-dining menu, and this time their food will be tasted by two-Michelin-starred chef and legend Michel Roux Jr. With hearts pounding the contestants must endure their most feared and respected critic's view of their dishes before the judges decide their fate. Could you be 2020's champion? 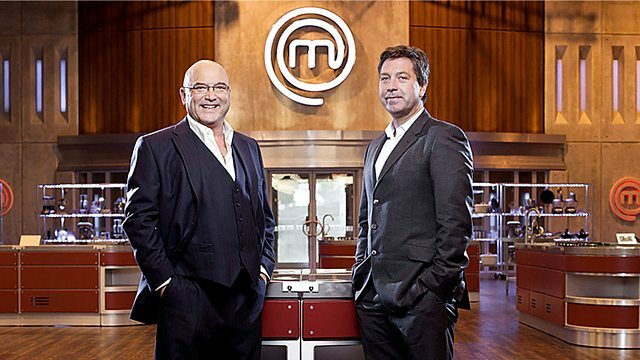 Apply to be on the next series of MasterChef? Past Winners - what are they up to now? We profile all the previous winners of the modern MasterChef series.